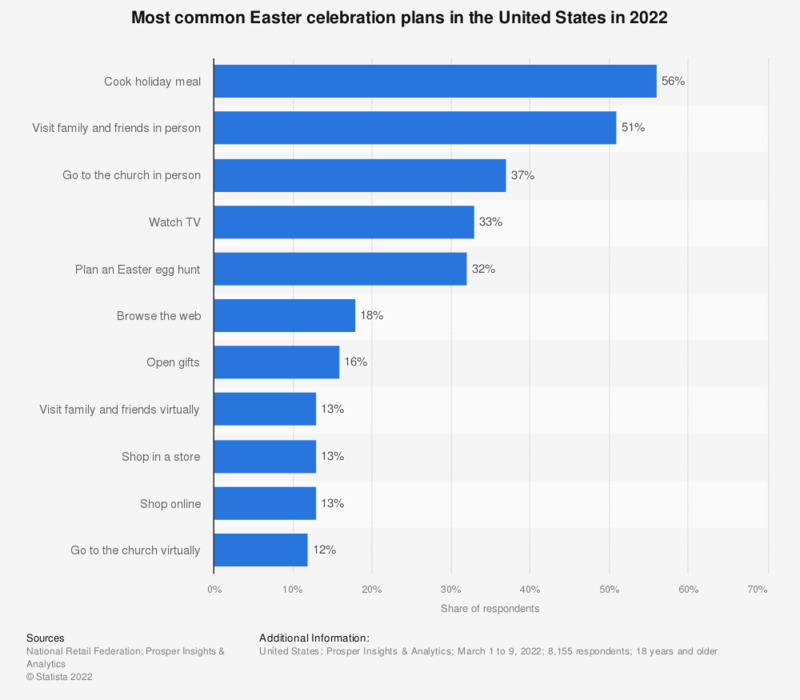 This statistic shows the results of a survey among U.S. consumers regarding what activities they plan to do on Easter Sunday. The survey revealed that 34.8 percent of respondents are planning an Easter egg hunt. Was possible to select mutliple answers. What is the total amount you will spend this year for the holidays?